Every year the big smartphone manufacturers announce their new flagship phones. Usually, this means an upgrade in software and hardware that add new functionality or improves on existing technology. With the smartphone market becoming more competitive all the time, manufacturers are constantly seeking better and more innovative components to tempt customers away from their competitors. Next year’s features are as widely speculated as they are every year, but here are a few that might be in the phones of 2019. When cameras were first introduced into smartphones, they were basic with few features and a grainy resolution. They were certainly no match for the digital cameras of the time. However, the cameras have continued to be upgraded and improved to the point where many people now use their mobiles for capturing images, instead of taking a separate camera. The latest additions to smartphones have been dual-lenses, one is wide-angle, while the other is long distance. Both images are then combined to produce a high-quality single image. Smartphones have become powerful enough to do all of this computational image trickery in an instant, which could lead to countless possibilities in the future. It is widely expected that the smartphones of 2019 will feature triple-sensors for the first time. The additional sensor could help to improve photos in low light conditions and make the images even crisper and looking more natural. It is also thought that there will continue to be improvements in image stabilization in photos and videos. In 2018, new data protection laws came into force in Europe. GDPR, or the General Data Protection Regulation, was designed to hold businesses accountable to the personal information it keeps on their customers. It is also aimed at telling companies what they can and cannot do with customers’ data. The law mirrors a general feeling among people around the world about what information companies hold and what they do with it. Smartphone companies and software manufacturers are now increasingly aware that data is extremely important to consumers. Next year should see a lot more from companies on securing their products and restricting the amount of access advertisers have. Apple has already made strides in this direction,and the other smartphone companies are expected to follow. Buying a smartphone or getting one on a contract is getting more expensive all the time. Some customers seek finance like those on this website to buy their new phones. With the newest versions of flagship phones now attracting a price tag of over $1000, there is a need from consumers for them to be tough. Many of the manufacturers have been developing their waterproof features which have led to many new phones having some level of protection. However, a fully waterproof phone is still one of the most requested features by customers, so this could be one of the new announcements seen next year. However, the engineering needed to create speakers and charging ports that can be totally waterproof is hard. Could it mean the end of the charging port in favor of wireless-onlycharging? It is widely thought that the chip fabricators and phone manufacturers are getting their phone ready next year to include 5G technology. One of the biggest modem companies Qualcomm has said that they have a large number of consumer-level chips available for the smartphone sector. The emergence of 5G means a substantial upgrade on the download speeds over 4G, with potential speeds up to one thousand times faster. It means you will be able to download your favorite movie or box set in seconds, and it will make streaming on mobiles a better experience. However, although smartphones will be rolling 5G out from 2019, the network upgrades needed to deal with the increased speed won’t be widely available until around 2020. Otherwise known as AR, augmented reality has been getting better as smartphones get faster and more powerful. New advances in facial recognition software have also made it possible for game creators to find new ways to use AR in their games. Smartphone makers Samsung and Apple have already developed emojis that can use your face and voice to become interactive. Next year should see this technology being used for more interaction and security. As screen sizes have increased and bezels have become thinner, there has been the inevitable question of where to put the front-facing camera and biometric sensor. Some companies like Apple, have decided to go for the ‘notch’ approach which sees a near bezel-free screen except for a small notch for the camera and earphone vent. Others have chosen to place biometricfingerprint sensors on the back of the phone and place the camera at the bottom of the screen. These solutions are not ideal, so smartphone makers have been working on cameras and fingerprint sensors that are integrated into the screen itself. 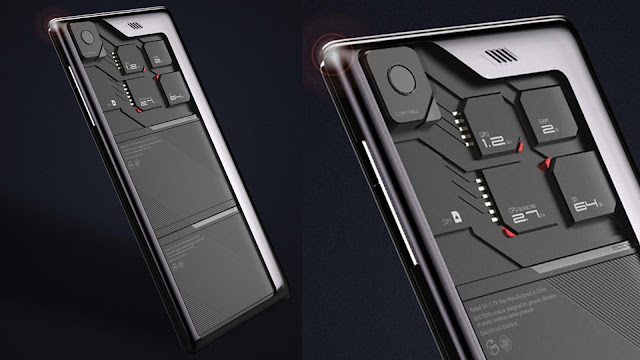 There have already been prototypes made that have seen positive feedback, so it doesn’t seem long before we will see the first smartphone with this new technology. Along with waterproofing, another request that is often heard from customers is stronger screens. It seems that no matter how strong the manufacturers claim their screens are, there are still many incidents of cracking reported. Most smartphone makers use Gorilla Glass on their phones which is designed to be tough and durable. However, some companies like Apple have been testing stronger materials like sapphire displays. These displays are much tougher and scratch resistant, but, they are difficult to manufacture in large quantities. They are currently mostly used in luxury watches, although if the process can be improved, it could be coming to smartphones soon. The improvements and development of smartphones are staggering, and it seems that there are still many avenues manufacturers have yet to explore. As long as customers ask for improvements, they will continue to push the envelope in pursuit of the perfect all-round phone.